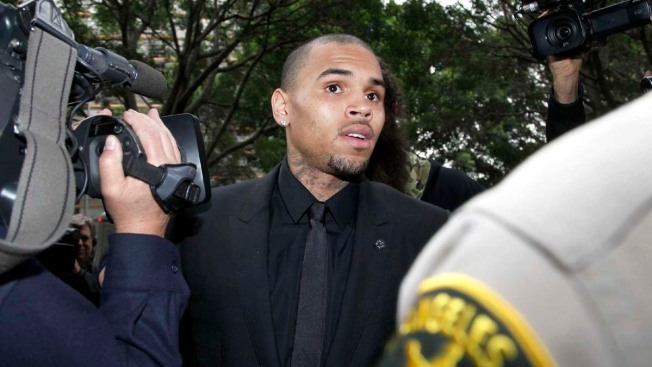 District of Columbia police have opened an internal affairs investigation into statements made by an officer who responded to reports that singer Chris Brown had punched a man outside a Washington hotel. According to charging documents, an acquaintance of Brown reported being told by the officer that the alleged victim said he was never hit by Brown. The officer denied speaking with the witness, but a uniformed Secret Service officer said he had overheard the conversation. An Associated Press reporter who had previously asked about that exchange was contacted this week by an internal affairs investigator assigned to the probe. The investigator confirmed a review was underway. Brown was charged with misdemeanor assault in October after police said he punched a man outside a hotel. His lawyer says he's innocent.